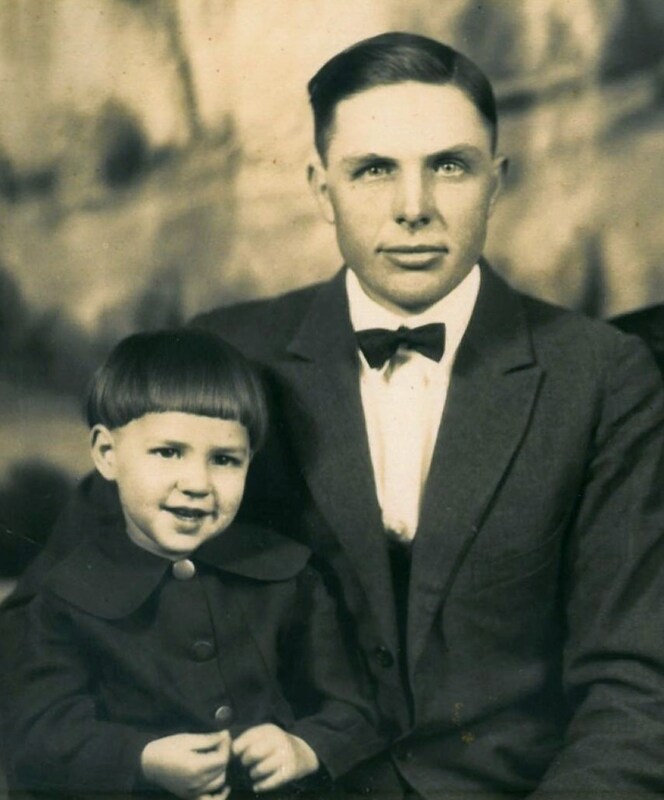 My grandpa Floyd Siver and great-grandpa Otis Siver, 1922. 1. The guides teach us. 2. As we grow older, we improve upon what we learned and become guides ourselves. 3. We pass along our knowledge to younger generations, in the hope that they will improve upon our advice, too. These points are summed up in the Chinese proverb that says, “To know the road ahead, ask those coming back.” Like most of you, my core knowledge of the road ahead comes from my family, including some who finished walking on their road long before my walk ever began. Nestled among the pages of an old family photo album is a yellowing envelope. A handwritten letter is tucked snugly inside that envelope, and its 93-year-old advice still rings true today. The letter was written to my Grandpa Siver by his great aunt, a woman named Jennie Manly Jones. The date at the top of the weathered paper reads “March 21, 1921.” The significance of this date is that it was my grandpa’s first birthday. 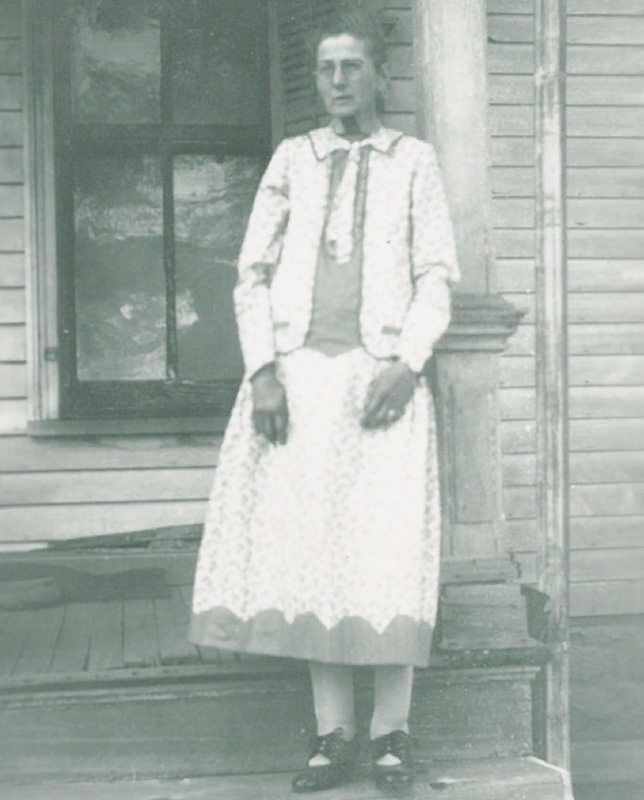 Jennie Manly Jones, my grandpa’s great aunt. I love these words so much that they’re included in my collection of favorite quotes, inserted among the words of big-timers like Helen Keller, Jack London, and Harry Caray (a man whose own advice on life was “Live it up; the meter’s running”). I love these words because they were written to my grandpa at a point in his life when he couldn’t even read them, much less understand them. I love these words because, even though my grandpa couldn’t comprehend them at the time, he ended up living them the rest of his life. I love these words because my grandpa taught me to follow this advice just like he did….. only he didn’t teach it to me in writing. He taught it to me through his actions, by living the life of a good man who was always there for his family, his friends, his neighbors, and often times complete strangers who never got the opportunity to repay his acts of kindness. There is no such thing as a self-made man. We are who we are in large part because of the people who love us – those “guides” who teach us everything they know in the hope that we will build our lives on their foundation of knowledge. Jennie Manly Jones guided my grandpa, and my grandpa guided me. 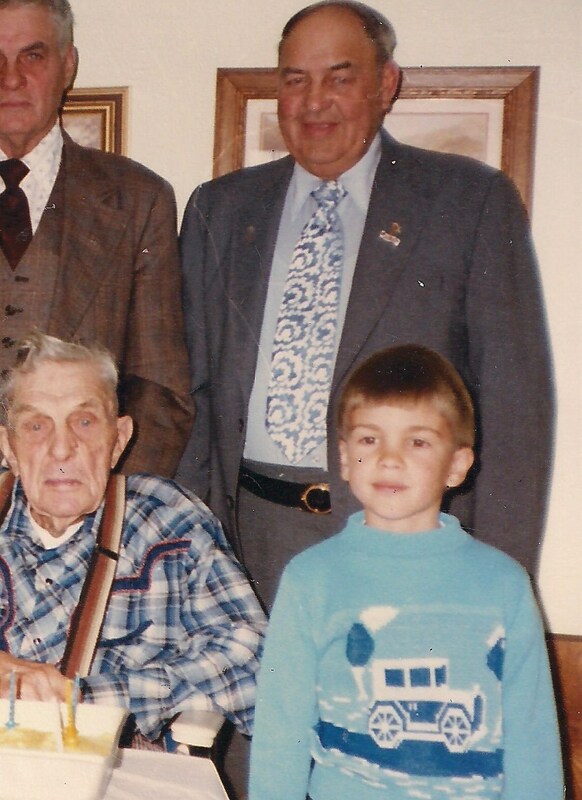 December 1986: celebrating my great-grandpa’s 95th birthday. My great-grandpa Otis is at bottom left, my grandpa Floyd is standing behind me, and my grandpa’s brother Glenn is in the upper left. The picture above shows eight-year-old me with the same two guys you saw in the photo at the top of this post: my grandpa and great-grandpa. If anything, it proves that time is fleeting. Someone can seemingly be a two-year-old boy one day and a grandpa the next. Why is it human nature to wish that we could do something beneficial in the future? What are we waiting for? Don’t hesitate to be a good man (or woman). Trust me, the world needs and appreciates it today. There is my Floyd. I loved this man. He was kind and would give you the shirt off his back. We need more people like him in the world today. Just as I remember Floyd. Great picture and write up.